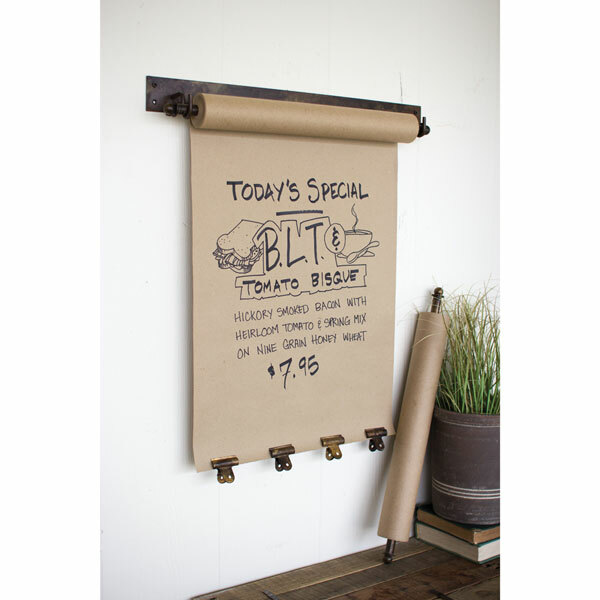 Whether writing up a grocery or to do list for home, displaying restaurant specials, or letting kids utilize it to play endless games of tic-tac-toe, the possibilities are truly endless with this hanging note roll. Comes with a paper roll and four metal clips to weigh it down. 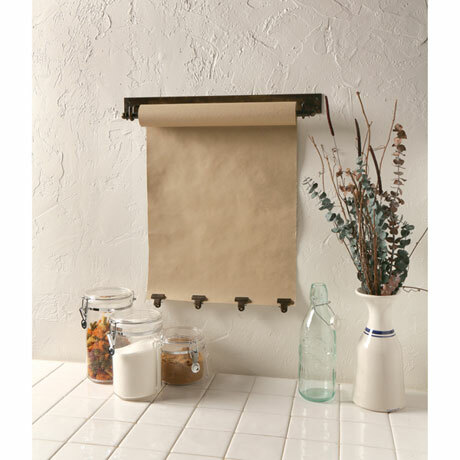 Metal hanger measures 21" long and 4" high. Item can only be shipped within the Continental US.